Indulge in the glamour, spectacle and myriad controversies of Hollywood's biggest awards show with the help of comedians, performers and drag queens. 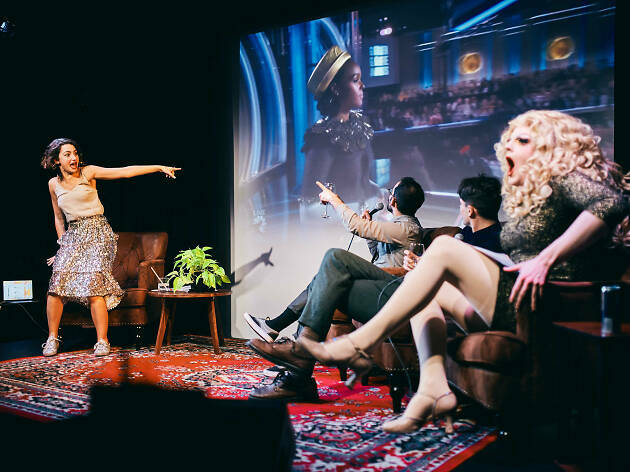 This high-camp viewing features live commentary, performances and celebrity impressions during the commercial breaks, a drinking game and a chance to take home a golden statue of your own. Host Jenny Gorelick assembles a panel of sharp-minded performers including Ms. Golden Delicious, Gabe Gonzalez, Joe Castle Baker and Allie Carieri. And during commercial breaks, get down to music, comedy and sketches by Amanda Shechtman, Delicious, Kuhoo Verma, Becky Chicoine and Mark Vigeant; and impressions by John Trowbridge, Yoni Lotan, Chris Cafero, Jesse Vandenbergh and Rollie Williams.